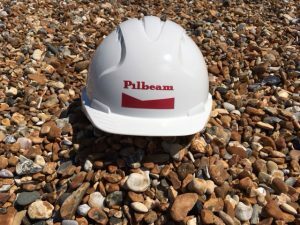 As a quality provider of sustainable construction services and an employer that is committed to equality, diversity and a healthy and safe work environment, Pilbeam understands as a company we have a responsibility towards our employees, customers, supply chain and community. We are committed to our workforce and recognise the need to attract, recruit and retain employees with the attributes and experience necessary for the continued development of our business. Staff loyalty is excellent and evident as many build their careers with us. Maintaining high standards of business conduct is essential to enhance our overall performance, build trust and preserve and improve our reputation with customers. At Pilbeam we believe we can help to build a sustainable future by delivering positive economic and social outcomes for our customers. We aim to meet sustainability challenges by making a firm commitment to sustainable development. We respond to the needs of our customers through responsible operations and work in partnership with them to deliver quality projects, without unnecessary impact on the environment. Wherever possible we purchase materials and components with a reduced environmental impact and source them locally. We promote excellent community relations and consider the wider impact on the communities in which we work. Pilbeam take a proactive approach on all projects to consult with stakeholders and end users and creates opportunities for local people to become involved in our projects with an emphasis on inclusion. Nicholas Blythe – Nicholas Blythe Architects: The Bothy West Dean College.